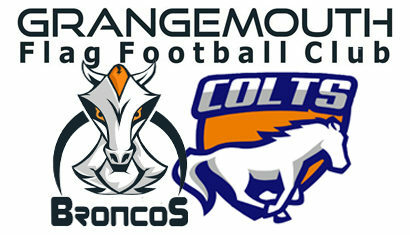 In 2018 Scott started the season with the Grangemouth Broncos in the BAFA Premier North Conference. Unfortunately, circumstances intervened. Scott McCracken joined the Broncos Seniors after the end of the 2017 season. 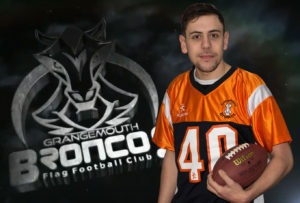 Scott started playing Flag two years ago at Carnegie, as well as tackle football for the Dunfermline Kings. He caught the attention of Broncos coaches during a friendly match between the Steelers and Broncos last season, as well as performances in the Winter League where he represented Team Top Gun, alongside our own Woods brothers. He has also recently returned to rugby after four years away, playing currently playing for Rosyth Sharks.